Partner of Carey and co-head of the firm’s Banking and Finance Group. The main focus of his practice is the creation and structuring of financial products and financing for all kinds of businesses, both from the lender or the borrower’s perspective; in the purchases and sales of companies and in the issuance and placement of debt and equity securities either in Chile or elsewhere. Citi, HSBC, JP Morgan and Merril Lynch on the pricing and purchase of USD500 million of Medium Terms Notes (MTN) issued by Banco Estado at a 2.668% annual rate and due on 2021. This transaction was made under a Banco Estado bond issuance program for up to US$3 billion. International Finance Corporation (IFC) on granting a loan agreement for financing subprojects by way of subloans to Banco Itaú Chile for up to USD200 million. Banco de Chile on relation to the update of a USD3 billion Medium Term Notes program file in the Luxembourg Stock Exchange. IM Trust – Credicorp Capital and JP Morgan Securities on the secondary offering of shares representing the 6% of Cencosud, owned by Paulmann family (controlling shareholder of 59,7%), both in the local market and as ADS in the United States, for USD458 million. Empresas Juan Yarur on the sale of 40% of the companies belonging to Bci Seguros (Bci Seguros Generales, Bci Seguros Vida, Zenit Seguros Generales and a part of Auxilia Club Asistencia) to Mutua Madrileña Automovilista, Sociedad de Seguros a Prima Fija, for approx. USD228 million (CLP160 billion). HSBC Securities (U.S.) and Scotiabank, as initial purchasers, on the issuance and sale of non registered bonds by Cencosud, under Rule 144A and Reg S for USD650 million at a 5.150% rate, due in 2025 and for USD350 million at a 6.652% rate, due in 2045. BBVA Group on the sale of its Chilean pension business for USD2 billion to MetLife. ING Group on the sale of its Chilean pension business affiliate for USD3.8 billion to Colombian Grupo de Inversiones Suramericana (Grupo Sura). GNL Quintero, one of the two regasification companies in Chile, on the issue and placement of its first cross-border bond under Regulation S, for USD1.1 billion. CCAF Los Héroes on the incorporation of a non-banking prepaid card issuer company, named Sociedad Emisora de Tarjetas de Pago Los Héroes, in accordance with the provisions set forth in Law 20,950, including the request for the relevant authorization, which was granted by the Superintendence of Banks and Financial Institutions. Lawyer of the Year Award in Project Finance and Development, Best Lawyers (2018). Recognized in Banking and Finance; Capital Markets and Corporate and M&A, Chambers Latin America. Recognized in Banking and Finance and in Capital Markets, Latin Lawyer 250. Recognized in Banking and Finance, Legal 500. Recognized in Banking and Finance and in Capital Markets, IFLR1000. Recognized in Banking and Finance, LACCA. Recognized in Banking and in Capital Markets, Who’s Who Legal. Recognized in Banking and Finance; Capital Markets; Investments; Corporate and M&A; Project Finance and Development Practice and Structured Finance Law, Best Lawyers. Member of the Council, Chilean Bar Association (2017-2021). Member of the Advisory Committee on Capital Markets to the Financing Minister. Member of the New Commerce Codification Commission (2016-2017). Working Group to analyze a new General Banking Law, Chile (2015). Member of the board of InBest, a non-profit organization that seeks to promote Chile as a business capital (since 2009). Member of the Legal Committee, Chilean Banking Association (2000-2007). Counsel and member of the Executive Committee, Inter-American Bar Association (IABA). Member of the Arbitration Body of the Center for the Arbitration and Mediation, Santiago Chamber of Commerce. Legal counsel, Citicorp and Citibank, Chile (1985). Law Clerk, Comptroller’s Office, Republic of Chile (1972). 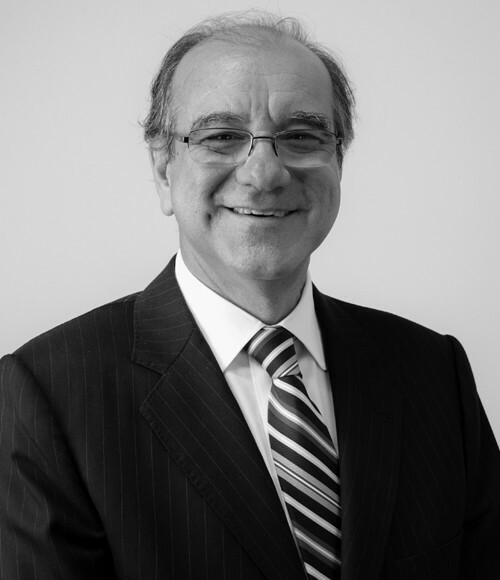 Author of the Chilean chapter in ICLG – Lending & Secured Finance, Global Legal Group (2015-2019). Lecturer in “Chile Week” conference, China (2016). Frequent lecturer in conferences organized by the Inter-American Bar Association (IABA), American Bar Association (ABA), PRAC, Federación Latinoamericana de Bancos (FELABAN), among others.